• Field Cultivated Palms like the Alexander Palms, Washingtonias, Coconut Palms, Roebeleniis, Chinese Fan palms, among others. • Showcase Palms comprising of Pindos, Dwarf Palmettos, Edible Date Palm, and Reclinatas. • Container Palms like the Majestic Palm, Bismarck Palm, and the Sago Palm. • Cycads, Tropical Foliage, just to mention but a few. We have over a decade long experience in the industry and have cultured a reputation based on the premier quality of our wholesale palms and the integrity of our professional service. 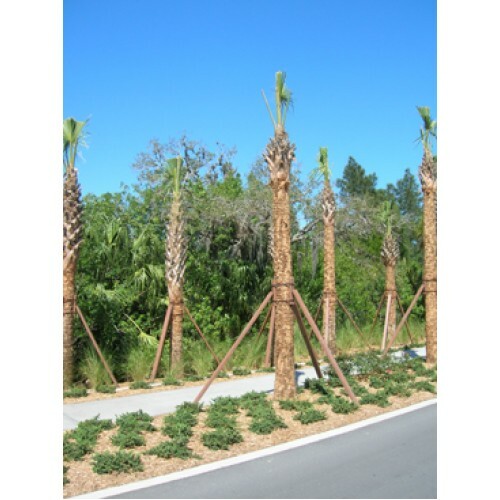 As mentioned above, aside from the sale of wholesale palms, we also offer landscaping and palm tree planting services in the Florida area. Work has been done for many satisfied customers from Pensacola, Orlando, Miami, to Jacksonville, Clearwater, Brandon, and plenty of other localities. Our Florida grown wholesale palms flourish due to the conducive climate that suits almost every single species out the 2,000 plus that exist in the world. Given these merits, we produce some of the healthiest and most versatile range of wholesale palms species. Furthermore, with the help of our in-house landscape designers, we can customize the specific type of feel that is right for you. If you are looking for a Zen garden for your backyard, building your own golf course, want to beautify commercial property, or you're just simply looking to bring the vacation beach feel to your city apartment balcony; we got you covered. While we deal primarily in wholesale, retail is also available. Orders can be placed after registration on our website and not only do we ship in the US but across North America too. We have delivered to clientele in the East Coast, Midwest, and the Southern States as well as different parts of Canada. To get a quote for the cost of shipping to your local destination, you can contact us via email through the contact form on our website (check the sitemap at the bottom) or by calling our dedicated customer care line +1-866-998-9393. You can also sign up for our newsletter to get tips on how to maintain those palm trees as plush as the day they arrived. Get advice on what fertilizers or soil to use, how to deal with diseased palm trees, and any other queries you might have from our expert Palm Tree Specialists.